When analyzing a narrative, one of the richest sources of analysis is looking at the character’s experience. The story, no matter what the genre, is usually about how a person changes, or refuses to change. At the beginning of the narrative we talk about his/her Initial State. What are they like at the beginning of the story? Where are they emotionally, physically, economically, spiritually? Then you look at the end of the story and do the same analysis marking the things that have changed. This is their Final State. The analysis then begins by taking the story events apart to discover how things have changed for the character and has brought them to his/her Final State. 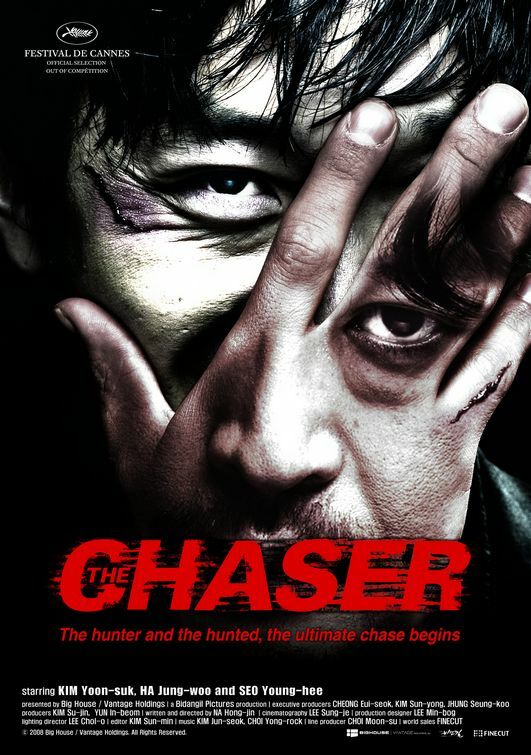 In The Chaser, one of the most interesting crime dramas Korea has produce of late, Eom Joong-ho is an ex-detective who has now become a pimp. So his initial state is already a dubious one. As for personality, he’s harsh, he’s brutally physical (as a pimp sometimes has to be), and he even bullies his girls to take jobs they don’t really want. He has an assistant that he calls Meathead. All in all, not a very likable protagonist. Because his girls are starting to go missing, he is desperate and bullies Mi-Jin to take a client even though she is sick with a cold. The client is basically the psycho who has been killing off other prostitutes in the area. Joong-ho realizes this too late and tries to find her. Then we get to one of the only problems I have with this film…coincidence. There’s willing suspension of disbelief and then there’s farfetched plot needs that just don’t go over well if you think too hard about them. This movie relies on two. That’s two too many for me, but the rest of this story is so much more interesting that it’s hard not to overlook them. Starting with the killer played by awesome Korean actor Ha Jung-woo, who I first saw in 2009’s The Unforgiven (another really great movie), and then in a couple of Kin Ki-duk films Time (2006) and Breath (2007). Since The Chaser he’s been in The Client (2011) and The Terror Live (2013), both reviewed on this website. Click on the titles to read. Believe me, you’ve never seen a killer like this in any other movie. Anyway, back to Joong-ho. His initial state is pretty repulsive, but as he searches for Mi-hjin, we begin to see different sides to him. First we see he is very intelligent. He alone continues to figure things out, but is frustrated that he cannot find his girl. At first he simply thinks the guy he’s looking for is selling them. We also see that he is passionate. Dead end after dead end do not detour him. At one point he becomes responsible for Mi-jin’s daughter. This unlocks a whole other side…he’s still the same burly bull in a China shop, but we can see a real concern for her even though she drives him crazy. He knows he is responsible for her missing mother and the daughter is also sharp enough to figure things out as well. 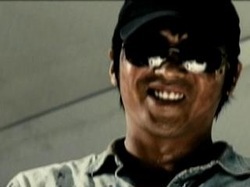 Joong-ho actually finds the killer early in the film, but what transpires next is a testament of police ineptitude. This may all sound too melodramatic, but I assure you…it’s played and paced very well. So Joong-ho’s final state is a very different person than we see at the beginning. He may not have changed his personality much, but throughout the narrative, we get to see his many faceted complexities reveal themselves due to the stress and horror of the situation. It’s believable and it’s amazing. Well, except for those two pesky coincidences I spoke of earlier. You gotta get past those. (with English subtitles) online for free. How do you track a character's growth in a story?